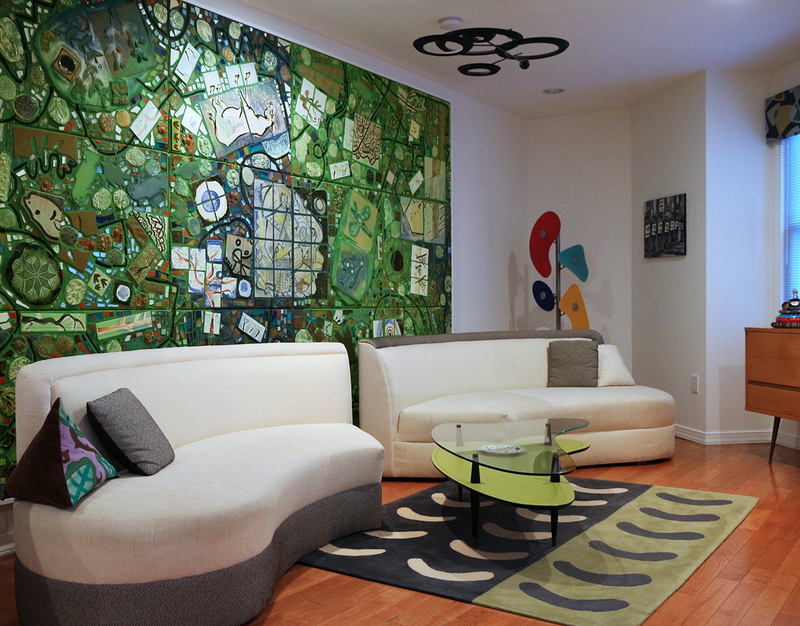 If you follow Unexpected Philadelphia, our four-month-old website, you’ve toured six fabulous, art-filled homes belonging to our fellow Philadelphia Dumpster Divers – that eclectic band of found-object artists and collectors who exhibit, socialize and produce up-cycled art together. Starting today, we invite you on a new tour, showcasing the inspiring home and garden of Michael Martin Mills and Randy Dalton. Randy joined the Dumpster Divers at their second meeting in 1992. 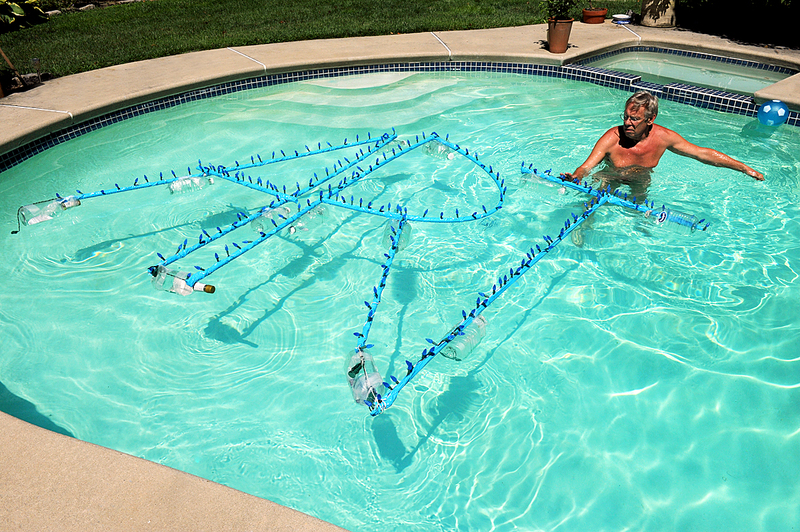 A found-object artist, gardener, and initiator of the “Do Blue” campaign to support arts funding, he has volunteered at Powelton Village’s Community Education Center since 1977, doing everything from serving on the board, to organizing exhibits, to stripping paint from yards and yards – and yards – of paneling. One of the perks of researching our fun and fabulous 1960s South Philly photo album has been meeting the families, friends and fans of the many entertainers, athletes and other public figures it contains – and, a half-century later, meeting some of those same celebrities ourselves. 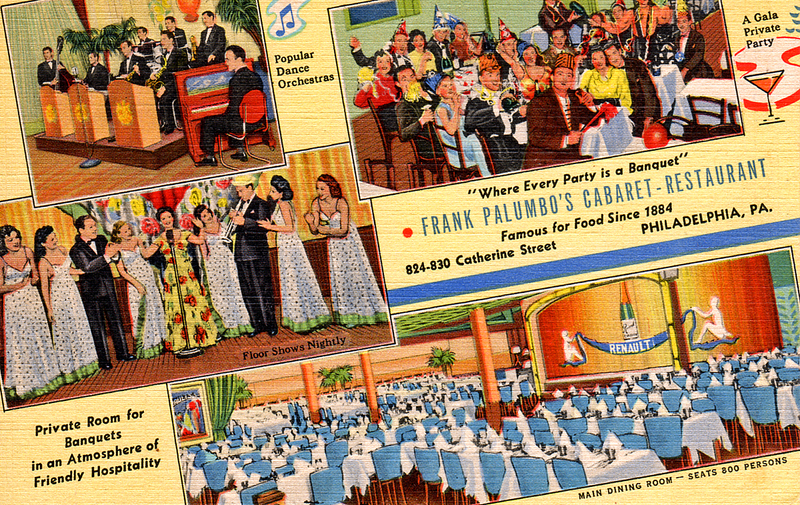 Last year, we were charmed to meet Carmen Dee, the celebrated bandleader at South Philadelphia’s famed Palumbo’s restaurant and nightclub for over 30 years. for Italian immigrants, and morphed into a top entertainment and wedding venue. Join Us for the Oct. 17 Home Tour! 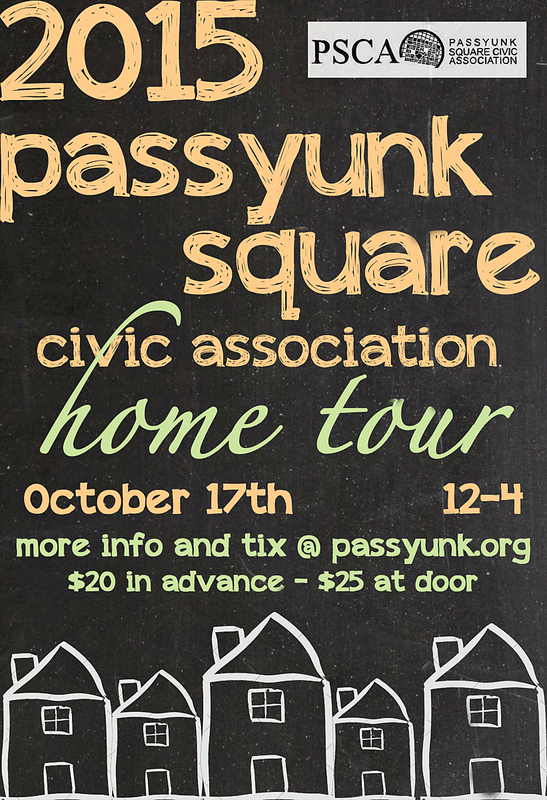 If the Fringe Festival was an excuse to whip our first-floor studio into shape, then the Passyunk Square Civic Association Home Tour is prodding us to finish all those annoying home projects we’ve postponed for months.